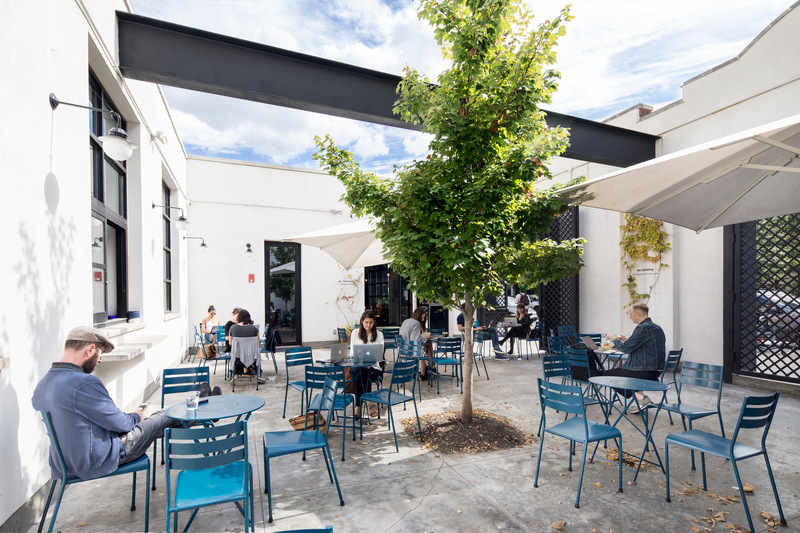 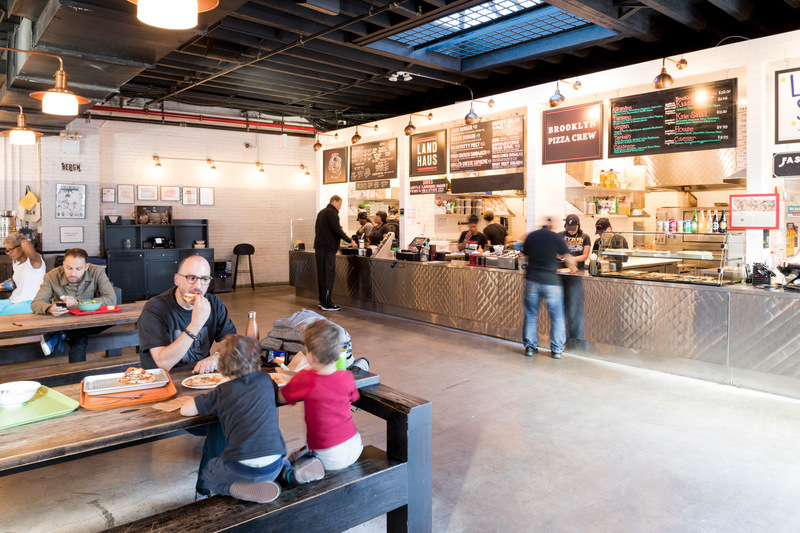 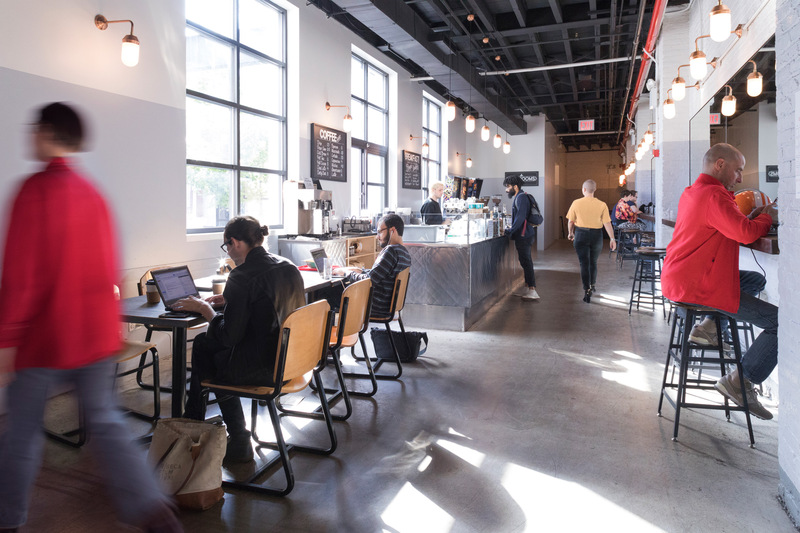 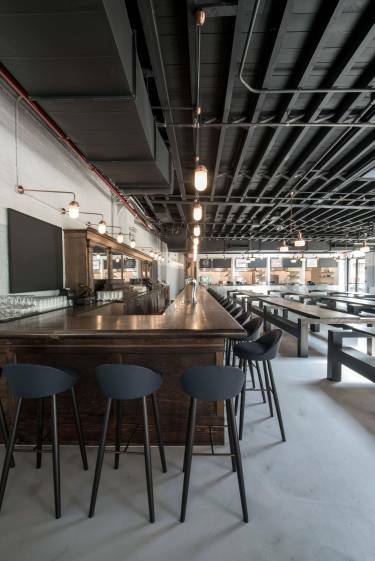 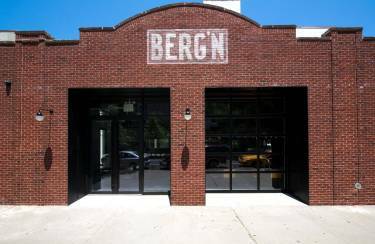 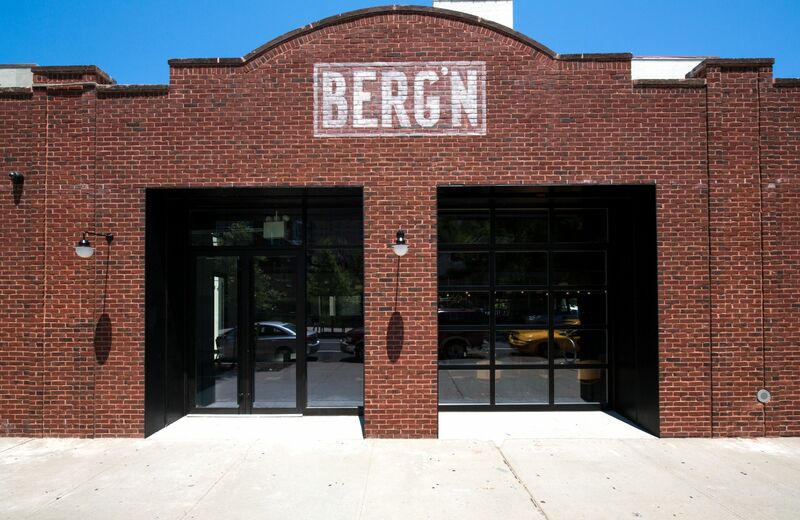 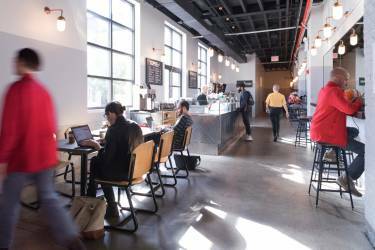 Selldorf Architects converted a garage in Crown Heights, Brooklyn into Berg’n, a 9,000 sf beer garden style restaurant operated by the creators of the Brooklyn Flea and Smorgasburg. The structurally damaged façade was rebuilt with wood moulded brick, and garage doors replaced with operable storefronts made from black aluminum and glass. 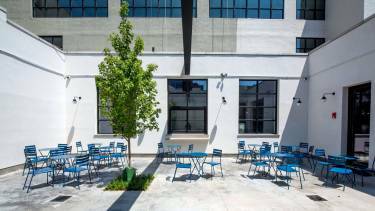 A portion of the existing roof was removed to create a 1,200 sf enclosed outdoor courtyard with seating. 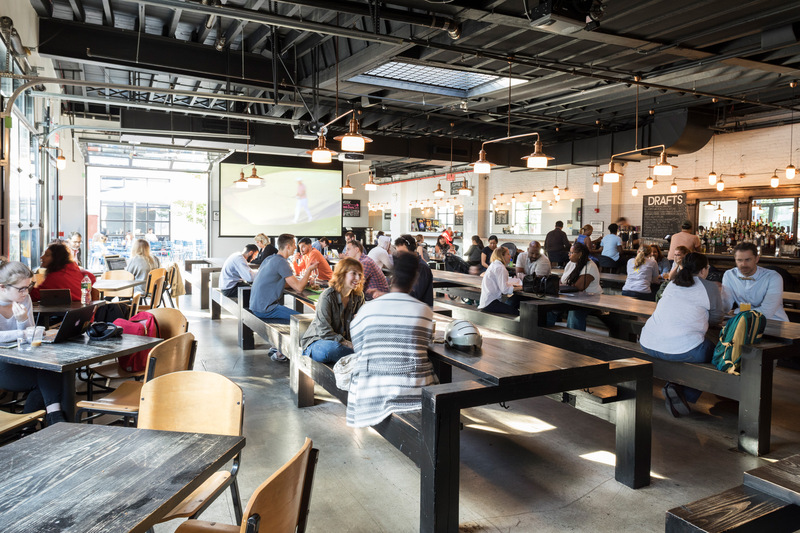 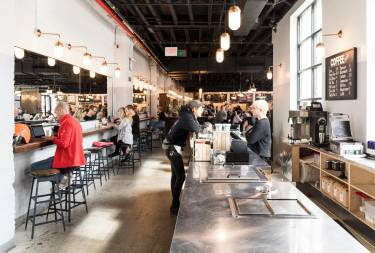 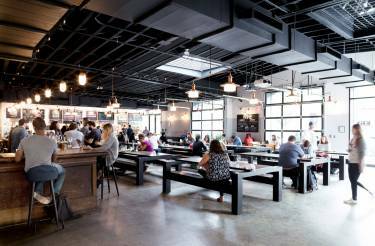 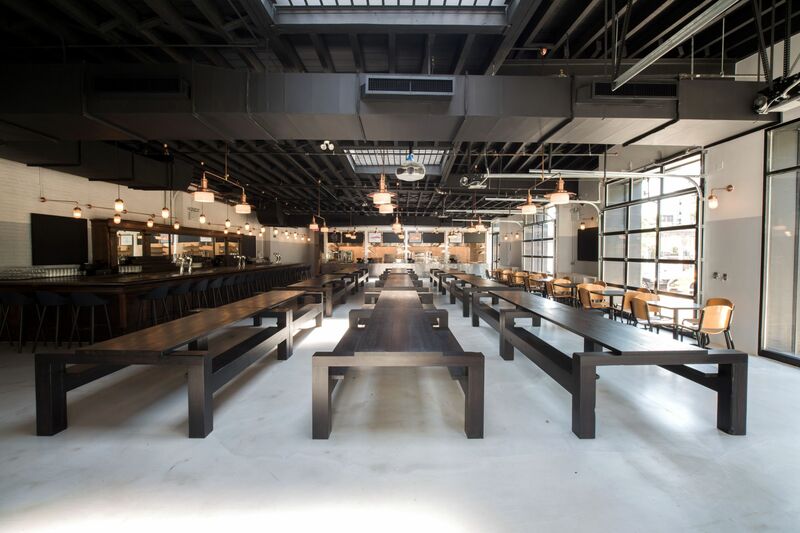 Inside, the main beer hall space has long picnic tables made from reclaimed wood, a refurbished vintage bar, food vendor stalls clad in quilted stainless steel, and industrial copper light fixtures. 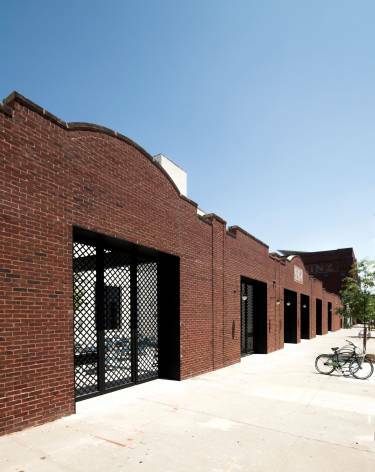 This project was realized with Bostudio Architecture, serving as Architect of Record.